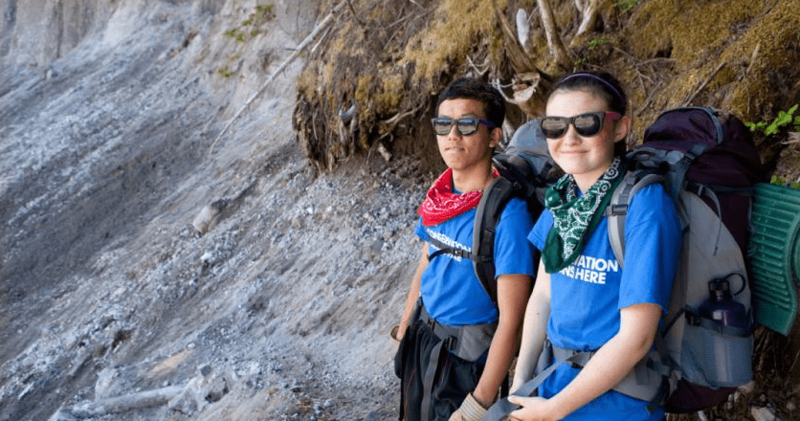 The Student Conservation Association (SCA) strives to inspire youth to engage with nature and to become lifelong stewards of the environment through hands-on service opportunities. Student volunteers learn important life skills while doing crucial work to help preserve national parks and other public lands. You can donate Southwest Rapid Reward points to this valuable organization. SCA is good for its volunteers. Participants report that they feel empowered to protect parks, are better at working with a team, more confident to lead and more prepared for their next job after taking part in SCA projects. An impressive 79 percent plan to volunteer in their communities after returning home. The organization also provides invaluable services. In 2016, SCA participants restored nearly 180,000 acres of land, improved over 10 million feet of trail, protected 3 million feet of shoreline, supported over 450,000 native plants and animals, and built or maintained over 20,000 structures. Volunteers worked in parks and on other sites in all 50 states, including the 30 most visited national parks. The most popular SCA programs are its national conservation crews. Student volunteers age 15 and up are organized into small groups to work at a variety of parks, monuments and other public lands across the country. The crews perform a wide variety of projects ranging from trail construction, habitat restoration, invasive species removal, structure maintenance, educational outreach and more. The volunteers are there to help the Park Service and Bureau of Land Management in whatever way they can. During the summer months, these crews typically work on projects that last three or more weeks. The crews usually camp where they’re working and fill their free time by exploring the area. At the completion of a conservation project, a recreational trip is organized so volunteers can further enjoy the parks and lands they’re helping to maintain. SCA also has a robust internship program. Individuals who are 18 or older can work on a variety of conservation projects located throughout the country. Opportunities exist at the Arctic National Park in Alaska, a sea turtle nesting beach in Jacksonville, Florida, and everywhere in between. Interns may participate in an archaeological dig, work as a park guide or even help with public outreach by managing a social media campaign. Volunteers can also work in their own communities or within their region. The regional and community crews do the same type of work as the national crews, but they’re located closer to home. SCA offers a huge variety programs to accommodate as many different students and interests as possible. One of the newer programs at SCA is ConSERVE. These large community project events typically involve over 500 participants and take place in major cities on national holidays. They are open to the general public and include all age groups. “It’s an easy way for anyone to participate in conservation work and experience SCA,” says Dan McCabe, Vice President of Corporate Partnerships at SCA. Youth who volunteer at SCA lead the activities, teaching others and spreading the organization’s mission and goals. ConSERVE projects vary widely and can include many different activities. Volunteers may find themselves cleaning city parks, removing invasive species, repairing fencing, restoring shorelines and more. The next events are on Martin Luther King Day in San Francisco, New York and Washington, D.C.. In 2009 Southwest became the official airline of the Student Conservation Association. The airline wanted to get more engaged with environmental causes. “Southwest really goes above and beyond,” Says McCabe. Not only does the airline donate cash and flight vouchers, but it has a strong culture of volunteerism. Southwest employees show up at all sorts of VCA events, including ConSERVE gatherings and other community projects, making the relationship more collaboration than sponsorship. Transportation to and from work sites is typically the responsibility of the student volunteers. These sites can be far from home and located in remote parts of the country, making travel expensive. Point donations from Southwest Rapid Rewards members help provide free airfare for volunteers who need it. “We do a lot of work with youth from lower income or other disadvantaged backgrounds. Being able to get them to their summer service site allows them to participate in what is often a life-transforming experience,” says McCabe. Without donations and Southwest’s support, many students simply couldn’t afford to volunteer. Enough miles were donated in 2016 to provide over 500 roundtrip tickets. There are over 8,000 volunteers and staff at SCA that need to be moved around every year, so more points are always needed. The SCA could not do what it does without those tickets. SCA started 60 years ago as a solution to budget cuts at parks across the country. Founder Liz Putnam believed that student volunteers could provide much needed labor to help maintain parks while simultaneously learning to be stewards of the environment. Both goals are perhaps more important today than ever before. Help support this worthy cause by donating your Southwest Rapid Reward points.